If you know someone who might benefit, please contact us. Moshe will be speaking at tonight’s JCPS board meeting, as well. Trump’s latest appointment is the Secretary of Education. She is pro charter school. Making my career in education I think I’d like to weigh in on this and give my opinion. Having been subject to the deluge of opinions and memes over the past two weeks, why not throw one out there myself? This post is my own opinion, not on work time, and not to be confused as anything but my opinion as a voting aged, tax-paying American. I am opposed to charter schools and voucher systems. Not shocking, as I work in education. I’d like to outline why I am against them, and what I think can be done instead. Perhaps it will help you form an opinion on the matter and since on facebook we all love to tell each other what to think, might as well weigh in on something that I know a little something about. Hidden behind the innocuous name “school choice” are charter schools. Here is a basic fact most don’t know about Kentucky. In most districts you already have a great deal of choice. Outside of a variety of public schools, you have private schools. Before you say that’s a rich man’s game – it’s not. There is a wealth of students in private school backed by charitable ventures. The term “school choice” is used because it sounds positive, and it doesn’t at all point to the inequities that charters can bring to the table. I am 100% in favor of private schools – you want to put one together and fund it, by all means. But if you want to fund it with the collective pot of money known as taxes, I am not for it. Charter schools are an easy buzzword answer to a complex problem. Complex problems never have easy answers. In this case we are playing with the futures of kids. I won’t stand idly by with that much on the line to be decided by a simple answer. In Kentucky our funding model for schools is not optimal. It relies on average daily attendance rather than enrollment for basic funding and as the years go on the state shifts the burdens of unfunded mandates back to the districts. This creates inequity for the smaller and poorer districts. If the system is not right to begin with, the answer is to fix the system rather than look to an alternative. Charters can choose who they educate with my tax dollars. They can say no to a poor kid, a special ed kid or whomever they wish. If I am going to pay for the system, then the system has to take all kids. I think that’s an equitable use of my tax dollars. I am not interested in funding a selective school with my taxes. If I want to fund a private school, that is a choice I can choose to make. If instead I am going to toss money into the collective pot for all – then it needs to serve all. They are not subject to the same mind-numbing bureaucratic red tape public schools are. This red tape is killing our schools. I can go on for days on the amount of inane busywork the state and federal government foist upon teachers and administrators. Because the current endeavors surrounding “for profit” education should be an indication of the quality of service one could expect. The current “for profit” endeavors mostly center around testing. Right now public education is making a lot of folk’s money. It’s not the teachers, or even the administrators (an easy punching bag) and it sure isn’t the kids. Corporations hiding behind “accountability measures” and “intervention programs” are getting rich off the backs of students and schools. Look up how much Kentucky spends on KPREP, ACT, Industry cert exams, and the litany of accountability measures we are all subject to. Look at what your local school or district is forced to pay for these things and ask yourself is that a wise expenditure of funds? I am not opposed to testing, in fact in many instances it serves as an excellent diagnosis tool both in terms of the program provided, and the individual student’s competency level in a given area. However, we are awash in testing to the point where it has become too much. Again, ask your local school or district how much of a student’s year is spent in assessment. Then ask the state ‘why’, and for what purpose is this being done? Then ask how much. Divide that number by the cost of an average educator and ask if that money would have been better served elsewhere. Rather than more money flow into the coffers of Pearson, ACT, or another edu-corp it would make more sense to put that money on the front line in buildings and districts, working with students. This system of accountability and the dollar signs attached to testing is one of my chief complaints of public education. Trust me, I love public education. It is what I’ve dedicated my adult working life to, and I believe in it, value it, and am champion for it. I will also be the first to say we have gone off the rails as a state and moreso a nation on the altar of testing. It’s too much and it’s doing a disservice to students, teachers, and administrators. I am not against accountability, but we’ve gone to far. I don’t want my kids spending 5-10 days a year doing standardized tests, and I don’t like the fact that we do it to students right now. I could say no (and then lose my job rather quickly) or use my not at work voice and advocate to anyone who will listen to be voices to change that aspect of our system. My fear is that introducing private enterprise into school business will be much the same as the edu-corps and their introduction into the money making business of accountability. Right now they’re making wheelbarrows of money off testing. I can’t imagine the harm that will come when they get into the classroom. I’m sure it will look but under the hood will be hidden some darker things. If you want an example go google some charters. Look at their results, and then at their admission policies. If they are killing it in the for profit world and they are educating ANY kid (ESL, ELL, Special ed, impoverished) that walks off the street- more power to them and they need to share their special recipe. Until I see replicable models of charters that work with the same students as the public school has to take, I won’t believe they’re anything more than a private school with selective enrollment being paid for by my tax dollars. I’m not OK with my taxes paying for some kids to be successful, and some not by design. If I’m going to pay for it I’d like them to have an even shot. The argument for a charter and “school choice” is an inviting argument. It’s built on the narrative that public schools are failing. In some places they are. Either through poor funding, poor management, or other issues, they are failing. However, in many places they are chugging along just fine. When was the last time you read a story “local public school is doing just fine” or instead saw “Detroit schools are falling apart and are full of mold.” Ask yourself which one is more provocative to report on? Rather than critically look at the system we rely on short snippets and sensational stories to guide our opinions. Again, these are the lives of students and their futures. I’d urge you to take a broader view of the system. If all you see is at the local level and you pay your taxes and feel anger that the local school isn’t doing well. I get it. So you hear the talk of school choice and it sounds good. I’ll ask you to consider instead improving the system in place. It’s not broken, and in many cases it’s great. It does however have numerous problems, some of its own design, and some out of its hands. In the hands of the voters are many of these decisions. I would urge you to become informed about some of the systemic issues facing public education and be an advocate to change them, and in some cases outright fix them before you look at charter schools as a solution. The second argument for charter schools is “I’d rather be able to direct my tax money how I see fit”. 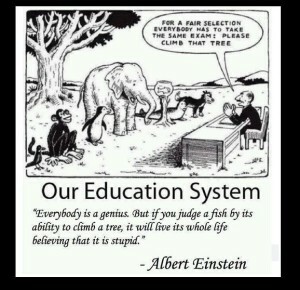 I can understand that sentiment, but I believe an educated society is a benefit to all. I would instead say you are paying to have kids educated in the democratic process, become thinkers, doers, and contributors to society. While it might be ok to look at a voucher in your pocket as a better means to self-govern what happens with your kids I’d ask you to consider the whole first. I believe a well-funded public system is a benefit to all. If you do not, you have options- private school and homeschool. Both can require sacrifices to achieve. I’m willing to say the benefit to the whole of the community (paying taxes to fund public schools) than the benefit to the individual (a voucher in your pocket). You may not agree with that, and you may not agree with the two alternatives I listed and that’s OK. You probably wouldn’t agree when I further say I think we need *more* tax money being funneled to education. If I had my way we’d spend far more on education than we would many other things. The beauty is we can both be advocates for what we believe in, and I will hope that those who feel as I do outvote those who feel as you do. Outside of the basic taxes for the individual versus taxes for the collective good if you want some suggestions to improve the system rather than look at charters as the silver bullet I’d be happy to give some. Equitably fund schools based on need. Divest yourself of the idea that all schools in a district should be funded equally. It doesn’t work. We know this. We see it every year. Instead if you want a more equitable outcome- put more money to places that have more need. Provide the school with the educational resources to educate the clientele that walks in the door. Advocate for this. Points 2-9 really are 50% of the battle, and this one is the other 50%. If you need proof look at a couple of things. Pick our state or any state and look at the bottom 5 schools by the available metrics. If they were the same bottom 5- 5 years ago, 10 years ago, 20 years ago AND they were funded relatively on the same model over the years- then the problem lies with the system of funding, not with the school. Cease summative end of the year testing in favor of interim, shorter assessment to look at student growth. 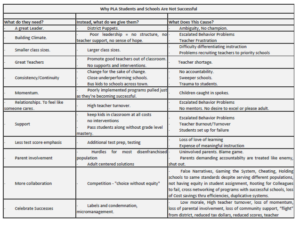 Move away from the accountability altar and instead spend the massive amounts of money spent in its name on improving the direct education of students, rather than creating data for praise/ blame and to categorize schools. If you are a non-educator and can explain to me our current accountability system correctly- I’ll give you a dollar. If you are an educator I’d almost challenge you to the same. We have gone in 15-20 years from relatively no accountability to dying at the altar of testing. There MUST be a happy medium that can satisfy the politicians and public who want results, and the educators and students who have to spend instructional time on this endeavor. Advocate to the state department to stop any mandated change/ law/ procedure unless it comes with state funding to make it happen. Districts are being crippled by state mandates that they must dip into their local tax based coffers to pay for. Provide the resources for real behavior intervention. That means different places (re: schools) for chronic offenders so that they can get real help AND resources and support inside of existing schools as a frontline. A good alternative school works. There are several in the state- Oldham, Bullitt, many others. It can’t be set up like a prison, it must have the resources in place to teach replacement behaviors. Also in the same vein have a court system that isn’t overburdened with cases. Our judges don’t have enough time to see the issues that come in front of them. The answer isn’t limiting reporting the issues, the answer is putting more people to the problem in terms of adjudication, and support to change behaviors. I am 100% in favor of holding a kid accountable, but we can’t take the pithy approach of “whoop em, it worked for me”. No, it probably didn’t. you probably had more support in place. Many of our students don’t have the supports in place to succeed and if we force them (which we do with compulsory attendance laws) then the burden comes to society to put the structures in place to support them. Drop the agrarian calendar. We aren’t farmers anymore. The summer break we have doesn’t serve kids in terms of retention of content. Summer slide is real. Instead to give students needed breaks, go to a calendar that is year round with more one to two week breaks interspersed in it. Take a hard look at IDEA and current special education laws and have an honest look at whether or not they are truly helping students with diverse learning needs, or creating even bigger gaps. Do not take this as anti-special education- instead hear me when I say that this area requires much work. Take a hard look at any union or employment contract that doesn’t give administrators a non-cumbersome way to part ways with poor teachers. On the other side of the coin, create a structure that does the same to remove poor administrators before their damage is measured in years. Don’t take this point as being anti-union, it’s not. Take it as being pro-effective teaching. Truth is some teachers and some principals aren’t suited for their roles. When it is apparent it should not take years to remove them from their positions. I am pro union. I think it protects workers from mismanagement and exploitation. I do think though we have in many cases swung the pendulum too far away from that and have protected folks who have no business working with students. Like accountability there has to be a happy medium. As a society figure out a way to hold parents to more accountability for involvement in schools. I don’t know what this would be, but we all know we need it, and it starts at home. Solve that and you’ll get a nobel prize I think. Lastly: Stop demonizing the outliers. By that I mean the sensational article about the random kid who does something bad. Or the teacher that makes a bad choice. Or the administrator who does something unpopular. Realize that the outliers aren’t the norm. Celebrate the good things that are going on every day in schools. 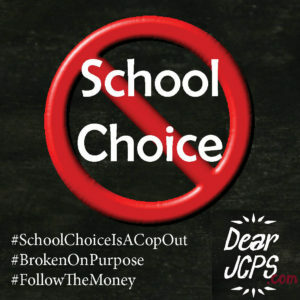 This post was written by a principal within JCPS who has asked to remain anonymous. The public education community – made up of students, parents/guardians, teachers, staff, and community leaders – is fighting a difficult battle, playing out locally as well as nationally, to save our public schools from a well-funded, well-orchestrated movement to privatize public education. While some of these efforts may be well-intentioned, most are uninformed, self-serving, or downright evil. These outside groups range from politicians (many of whom don’t even have kids in public schools), to venture capitalists, to religious groups. Some are simply looking for a silver bullet. Others believe replacing highly qualified, certified teachers with less expensive, easier to bully personnel, or denying services to students who are more costly to educate, will help them put more cash in their pockets. Kentucky is by far the largest state yet to open the flood gates to access to our tax dollars earmarked for public education by way of charter legislation, so others are scurrying to secure their piece of the pie. While yet another group perceives an opportunity to use public funds to create schools that will promote their regressive or non-inclusive agendas, and these opportunists are even positioning themselves on boards that can influence the direction of this legislation. True proponents of public education view it as the single most important pathway to success for every child, and we want to ensure that it remains equitable and accessible. 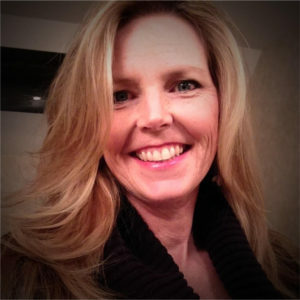 Fighting this noble fight, day in and day out, to stave off these wolves-in-sheep’s-clothing, is hard work – especially when there is no money to be made, and no slick collateral or full-time marketing departments to support our efforts. Therefore, your endorsements for these candidates, who represent everything we are fighting against, felt like a punch in the gut. One of your endorsed candidates for JCPS school board, Fritz Hollenbach, just moved back to Louisville last year, after having lived in another state for the last 28 years. Yet, this dark horse, newcomer candidate has already received around $250,000 in financial backing in the form of TV advertisements and mailers from an outside organization that is funded by a handful of millionaires, not stakeholders, pushing their own agenda. Meanwhile, the incumbent, Chris Brady, is truly a local candidate, which is what school board representation should be. His campaign budget is 1/10th that of your endorsed candidate. 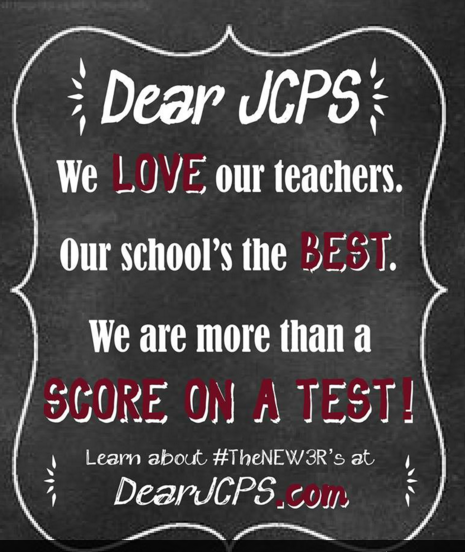 He a JCPS parent, educator and has lived here most of his life. He has demonstrated that he is willing to take a stand against the status quo and that he is a true defender of public education. Similarly, your endorsement for David Jones, Jr. seems to overlook that this is another candidate – a venture capitalist no less – who is also spending 10 times the amount of his competitors to maintain a position that is essentially a “volunteer” job. He has been very supportive and “hands off” with our superintendent, despite repeated evidence that the data her team reports to the board members is erroneous, and we have seen a further decline of school safety and a widening of achievement gaps under his leadership. Chris Kolb, a JCPS graduate, a JCPS parent, an experienced educator, an active school volunteer, and a community leader with a track record of advocacy for children, intricately understands the problems plaguing our schools and our district and is passionate about public education. He will put public education ahead of profit. What it’s like be demonized and demoralized due to the overemphasis of the fallacious metric of high-stakes test scores? How it feels to live under the constant threat of a state takeover or closure or having to shake things up every two or three years if gains are not made fast enough? The harm that is done when we force educators to endure a competitive environment over a collaborative one? 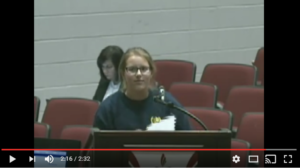 The frustrations of dealing with a district that is constantly trying to implement “ivory tower” solutions when teachers’ and parents’ voices are not sought at the local school level? The culture of fear, top-down bullying tactics, erroneous data used to guide decision making, and cover-ups and denial, and many other outrageous things that continue to take place in our district on a daily basis? I do. Which is why I have been attending practically every board meeting and work session for over a year, and our group is in constant communication with our board members. We know which board members ask tough questions, speak up and even vote against the grain when student needs are not put first. So, I know how I came to my opinions. Having not seen your editorial board members at any of these meetings, I can’t help but wonder how they arrived at theirs. TRUE public education advocates, who have been staying up-to-date with the educational crisis we are in, encourage support for Chris Kolb in District 2, Chris Brady in District 7, and Ben Gies in District 4. Just remember this slogan: We ALL win with Chris, Chris and Ben! 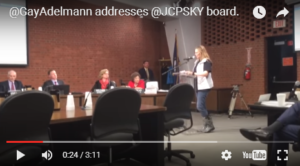 Gay Adelmann is a parent of a 2016 graduate from the Academy @ Shawnee, and co-founder of Dear JCPS, a stakeholder advocacy group that solicits feedback from constituents and amplifies that information to the JCPS Board of Education so that they are able to make more informed decisions. Something I threw together for my meeting with the Governor’s aides today. leads to age-inappropriate activities and content, including teaching our children to properly fill in bubble tests as early as kindergarten! Worst of all, persistently low test scores have been linked to closing neighborhood schools that serve our most vulnerable students, while opening the door to privatizers and swindlers who are more interested in getting their hands on our tax dollars than they are in improving student outcomes. With the passage of ESSA, local school systems have the opportunity to design a broader, more student-centered accountability system, such as a “dashboard” approach. Kentucky Commissioner of Education Stephen Pruitt said during a town hall meeting in April, “If we don’t come out with an accountability system focused on students, then we’ve failed. It can’t be about adults chasing points. The system needs to promote what’s best for students.” The new federal act requires the system to be in place by the 2017-18 school year, too late to mitigate the detrimental effects of this year’s test results. No Child Left Behind created an accountability system that highlighted standardized testing. The Every Student Succeeds Act (passed by government in 2015) gives states the opportunity to redefine what accountability looks like for each state. However, the draft regulations provided by the US Dept. of Ed don’t remove NCLB’s emphasis on testing, and seem to be working against the intent of the new legislation. For example, the new draft regulations state that “robust action” – read: punitive action – must be taken against schools that don’t test 95 percent of students. Education Commissioner Stephen Pruitt recently provided testimony to the US Senate Committee on Health, Education, Labor and Pensions (29 minute mark) and expressed many of the same concerns many educators and stakeholders have been echoing in JCPS and in school districts across the country. They are seeking public feedback on these ESSA regulations to maintain flexibility/autonomy for states and local districts, and to get free of onerous federal testing requirements before they are finalized. Feedback is open to all educational shareholders. He’s looking for 1,000 comments by August 1. Attached is Sarah Markey’s ESSA presentation. Tomorrow I will administer the KPREP for the first time in my teaching career. This expensive, artificial, high-stakes test will spit out labels for my 8- and 9-year old babies, essentially deciding whether I’ve been an effective teacher, and ultimately labeling our school’s performance. However this test is not going to provide any new information for me. I know which of my students are struggling and who grasps concepts quickly and thinks deeply. In fact, there is so much this test cannot tell us that the amount of emphasis placed on it throughout the school year is, frankly, ridiculous. The test will label one of my students as Novice. It will not tell you that he came to me in second grade as a non-reader who speaks English as a second language and has a speech/language disorder and now, 2 years later, converses in full sentences and reads on a first grade level. The test won’t show you the number of times I’ve comforted my kiddos who are acting out because they are thinking about their parents- the one who was murdered over the summer, the one who’s been away in treatment for anger management, the one in jail, or the ones who just aren’t around. The test won’t show you the number of conflict resolution discussions and class meetings we’ve had so that my kiddos learn how to interact with each other before guns are readily available to them. Our school’s label won’t show you that we are truly a family for over 700 kids whose lives at home are often chaotic, affected by poverty and violence. That rather than kicking out our most challenging kids like some schools do, we surround them with a support network of sincere love and concern. So as we face a week of testing, may we all, students and teachers alike, remember we are so much more than any test can tell us about ourselves. I find it very interesting that teachers are constantly reminded that we should have high expectations of all of our students. Students will rise to your expectations. Accept nothing less than a student’s best effort. Students need to know that you believe in them. 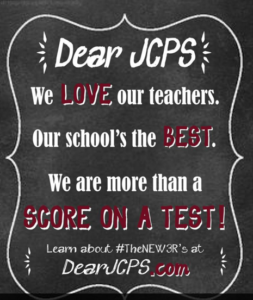 So DOES all of JCPS have high expectations of students? It appears that our school board does not. Is it reasonable to expect high achievement and gains in the classroom even while we lower our expectations for behavior? Can children learn in a chaotic environment? Will our all-important accountability scores go up after we lower our expectations of students? Am I the only one confused by this double standard? It is time for reasonable citizens of this community to speak out. Parents, taxpayers, teachers, voters. Let your voices be heard!